At the International Premium Cigar and Pipe Retailers trade show this year, Warped Cigars teased an upcoming release that was adorned with only a simple white band with black text that read, "Warped Corto." The company said the cigar's blend was completed, but the band artwork was not ready in time for the show. "The white bands are temporary," brand owner Kyle Gellis said at the trade show in New Orleans. "The blend is finalized, but the bands are not ready." Now, the cigars are armored in their true colors, and sitting at the factory where they are rolled—Tabacos Valle de Jalapa, or TABSA, in Nicaragua. In two weeks, Corto will make its way to the Warped warehouse in Jupiter, Florida, and begin shipping to retailers shortly after. Warped Corto will carry a retail price of $8.65 and come in boxes of 25. 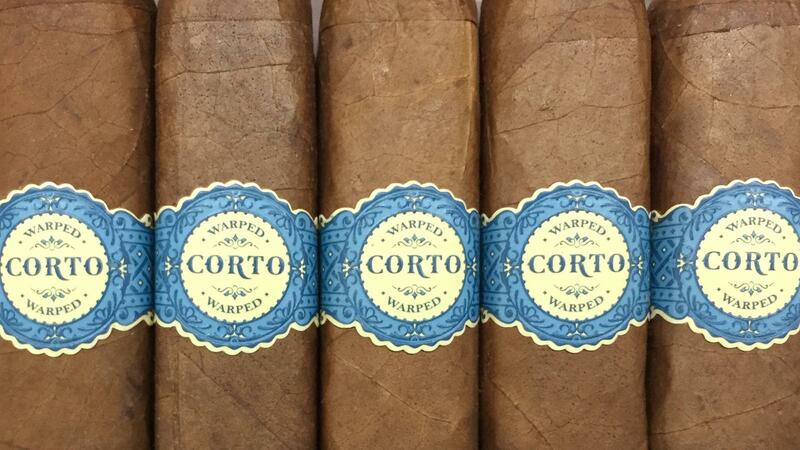 Gellis describes Corto as the fullest-bodied cigar in the Warped portfolio. The cigar is a Nicaraguan puro, featuring a Nicaraguan Corojo '99 wrapper and binder with Nicaraguan Criollo '98 and Corojo '99 fillers. Corto will debut in just one size, a slightly box-pressed 4 1/2 inches by 50 ring gauge vitola called X50 that will carry a retail price of $8.65 and come in slide-lid cabinets of 25. For more on this story, see today's Cigar Insider.